The Explorer Ventures liveaboard fleet has added a new vessel, and it’s operating in the Red Sea. The 41m Grand Sea Explorer joined the fleet in January and offers a 7-night itinerary through the Brothers Islands, Daedelus Reef and Elphinstone Reef marine park sites from US $1895pp. The liveaboard takes up to 22 divers in two suites, two double cabins and 10 twin cabins, all equipped with air conditioning, stereos, fridges and en suite facilities. Up to four dives a day are offered from three dive tenders from May to September and three dives on the shorter days for the rest of the year. Nitrox is free. The liveaboard departs primarily from Port Ghalib but will move to Hurghada next year. 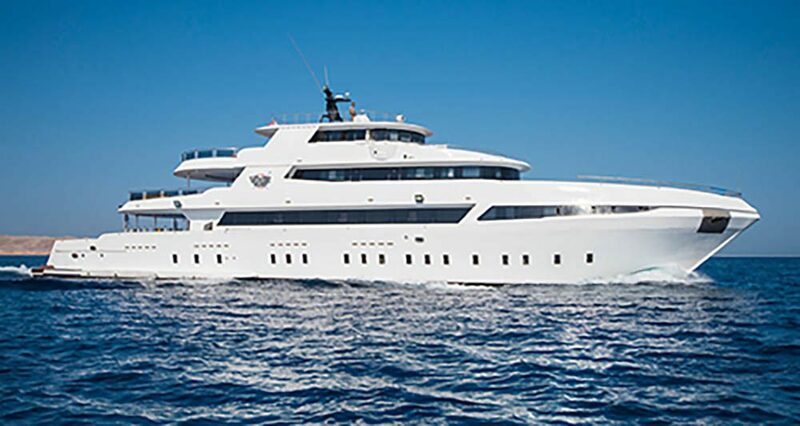 The operator is also working in partnership with Emperor Maldives to offer trips on the 42m Emperor Explorer, with 7-night and 10-night trips available for individual and full charter bookings. The growing fleet also covers Saba/St Kitts, Turks & Caicos and Dominican Republic, Galapagos and Indonesia.